Ryan Bresler, Clearwater Personal Injury Lawyer & Wrongful Death Attorney Clearwater, Tanney Griffith & Bresler, P.A. Ryan Bresler was born and raised in St. Petersburg, Florida. After graduating from Northeast High School, he went on to the University of South Florida where he received his degree in Finance with a minor in International Business in 2003. He was selected a member of the Golden Key National Honor Society, and was elected to the executive committee of Sigma Nu Fraternity. He received his Juris Doctor from Stetson University College of Law in 2006. 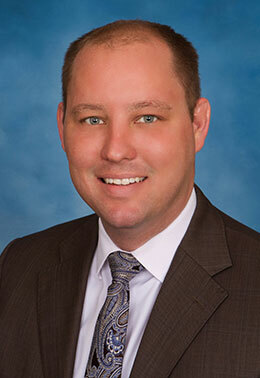 Mr. Bresler has served as Chair of the Clearwater Bar Association’s Civil Practice Section, the Chair of the St. Pete Bar’s Law Week Committee, and has been a director on the Clearwater Bar’s Young Lawyer’s Division. Mr. Bresler represents only injured persons and their family members in personal injury and wrongful death cases. His areas of practice involve primarily motor vehicle accident and motor accident cases, as well as premises liability, slip and fall, trip and fall cases, and dog bite cases. As an associate at Tanney & Griffith, P.A., Mr. Bresler focused his career representing persons and family members on personal injury and wrongful death cases. As a prosecutor, Mr. Bresler handled countless cases ranging from misdemeanor, traffic, and felony offenses. He was specifically appointed to handle domestic violence and child abuse cases in his time at the State Attorney’s Office. He also tried over 40 jury trials to verdict, including armed burglary, manslaughter, drug trafficking, and aggravated child abuse.